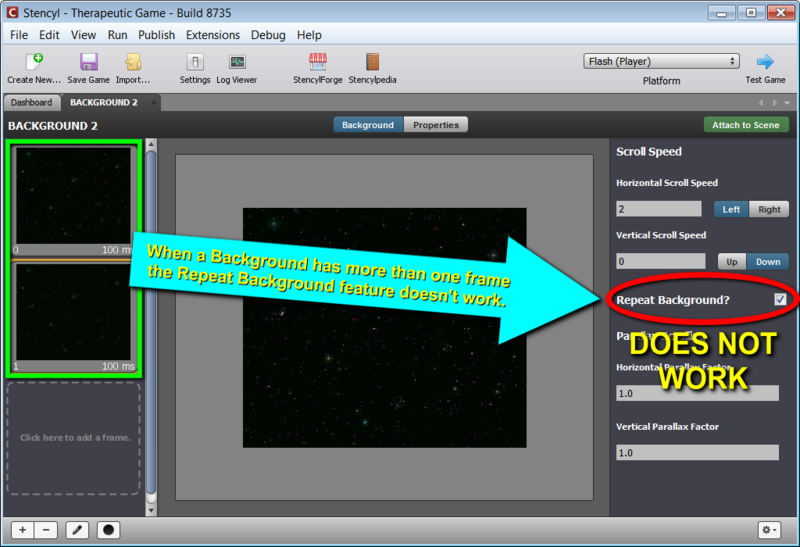 Issue Tracker - Issue #76: "Repeat Background" doesn't work when the background has more than one frame. "Repeat Background" doesn't work when the background has more than one frame. Issue: "Repeat Background" doesn't work when the background has more than one frame.